Global politics has always been dynamic. 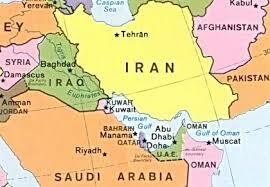 Most of the Middle East was significantly affected following each of the World Wars. Now, a century after the end of the First World War, countries in the region must again adopt new policies and strategies to survive in the new global political environment. Jordan is a perfect example of how it was shaped by the World Wars. It was established as an emirate following WWI and then became a kingdom after WWII. Following the arrival of King Hussein on the Jordanian throne much effort was put into the development of institutions and the bureaucratic system. However, the continued political existence and survival of Jordan was because of its geo-strategic importance to the United States under the Eisenhower Doctrine. Following the first Gulf War in 1991, the whole region went through a process of bringing peace, with meetings in Madrid, Oslo, Wadi Araba and others. However, peace appeared to only be real for countries that were in political crisis after the fall of the Berlin wall and the rebalancing of global power with a unipolar world order, mainly Syria. With death of King Hussein, Hafez Al Assad and later Yasser Arafat, who first died politically then physically, there was renewed hope for peace in the region with the proposed two state solution. Then the War on Terror began following 9/11, which moved the entire region even further from peace and distracted chasing ghosts in caves. The changes we are seeing today are a complete shift from the functional roles some in the region have played under the unipolar global power. The shift is creating critical situations as functional roles are no longer needed, ideologies are evolving and economic pragmatism is the key driver of decisions; and opportunities to create wealth and a return on investment are the key factors attracting support and attention. Jordan is about to start its third phase after WWI and must find a new role in the region and internationally in order to form new alliances and renew previous ones economically for mutual benefit. Regionally, Jordan must deal with the end of two state solution and its implications. Domestically, the deep economic crisis it is facing must be addressed politically, but that can only be done through a massive national project that can empower citizens to feel like they are in control of their own lives, their own welfare and the success of their country in order to build a future for their children. This challenge is not limited to Jordan, and the Gulf monarchies and sheikhdoms are facing similar issues. Even Israel is facing an existential threat as it is an ideological project, and an expensive one. Rabin’smovetoopenIsraeltoitsneighborsiseffectivelyoverandreplacedwithNetanyahu’sinsularandsecurityfocussed‘aplaceunderthe sun’approach,whichisneverprovidestabilityandrealsecurityasitholdstheregiontoransom.So, what is the alternative, how can Israel approach the new global and regional order to substitute these failed approaches to exist? Again, this question is not limited to a single country. Global politics are changing, and new threats and critical issues are developing. Countries need to face the problems and dynamics of today in order to maintain stability and security in an ever-changing world. Policies and rhetoric of the past will no longer be effective. Those leaders who cannot adapt must move on to give way to new legitimate leaders who can adopt new models of governing capable of facing these new challenges.